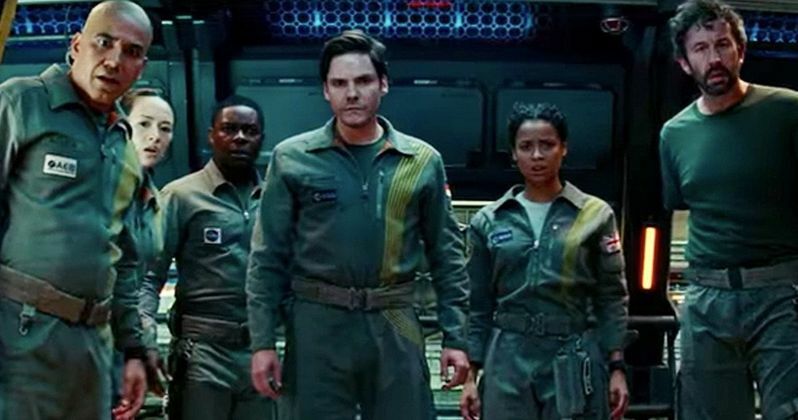 Netflix shocked fans who had been waiting for The Cloverfield Paradox by surprise releasing it on Super Bowl Sunday, directly following the game. The move was seen as trailblazing and turned the advertising world on its head for days after. It was executed perfectly and there wasn't even a hint that it was coming until early on Sunday afternoon when rumors started to swirl. However, the excellent marketing, or lack thereof, was not enough to get as many viewers as Bright brought back in December. It has been reported that Netflix's Cloverfield 3 only brought in 5 million viewers in 7 days. Bright was able to pull in 11 million viewers in only 3 days, but it had a marketing campaign behind it. Both projects were critically panned, but Bright, which stars Will Smith, has been able to recover a little better in the time since it was released. J.J. Abrams' Cloverfield 3 was widely panned the night that it premiered and has not gotten too many positive reviews in the nearly two weeks that it's been out. Though critics have not been as kind to Cloverfield 3 as Netflix would like, fans have generally been supportive of the movie and enjoy the continuity as well as the way that it answers questions from the past and poses new questions for the future. In hindsight, it might have been good for Netflix to roll out a promotional campaign and waited to release the movie in April, which was when the release date was planned, after it had been pushed back numerous times. The movie was announced, quickly panned and now there's not a whole lot of talk about it. The guerilla marketing does make sense when one looks at how much Netflix paid Paramount for the rights. Netflix acquired the movie when it was still believed to be called the God Particle in January for $50 million and may not have wanted to spend any more money after dropping another reported $5 million for the Super Bowl 2018 commercial. There are rumors that Netflix knew ahead of time that it wasn't going to sit so well with critics and a certain group of fans, so they decided to surprise release it before any reviews made their way out into the wild. Cloverfield 3 drew in an impressive 786,000 viewers on Super Bowl Sunday, but the numbers fell away shortly after, resulting in 5 million views in 7 days. The movie is no more divisive than anything else that's out there, but the critics have been especially hard on the movie, with some just calling it "crummy filmmaking." Regardless, a sequel is still being talked about and J.J. Abrams promises that Cloverfield 4 is a "crazy movie." We'll have to wait and see about that, but for now, you can head over to Variety to read about the Nielson ratings for Cloverfield 3.